Canon Lens EF 50mm 1:1.2L USM Ultrasonic w/Birger EF Lens Controller Warranty . New Life Scientific, Inc. This lens features an ultra-large aperture for a narrow depth of field and soft background blur. It has a permanently fixed Birger EF power controller and comes with the USB interface cable and power adapter. 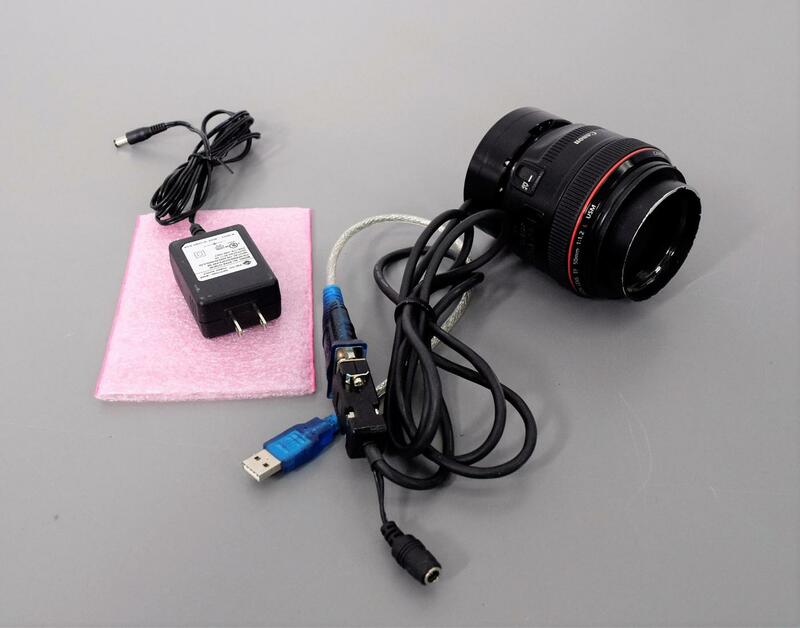 The Canon lens was sent into Birger and they updated the controller to the newest version. This lens is ready to be put into use. Manual is available upon request. Dimensions: 3.25” Diameter x 4.25” Length with 5.5” of access cable.